We are still working on Sinterklaas. Aren't you tired yet of my felt craft?? My stitching mojo is a bit gone.. but It will get backs soon.. 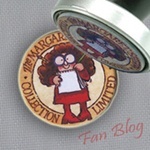 I have a few wonderfull pieces waiting for me!! As you all now I;m a BIG HuisVolKleur fan. Bad light here, but I;m planning something with this, when it's done I will make more pic's!! HuisVolKleur, just designed a awesome black pete doll. 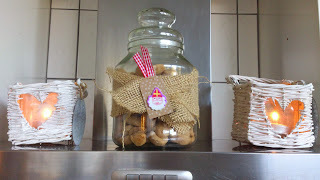 Every holiday has his own candy.. so also with Sinterklaas.. When the Black pete's come they had a bag with gifts but also with candy. 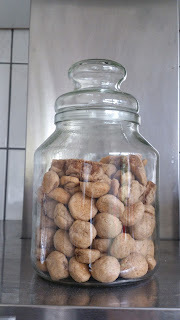 And the most what's in there are Pepernoten. 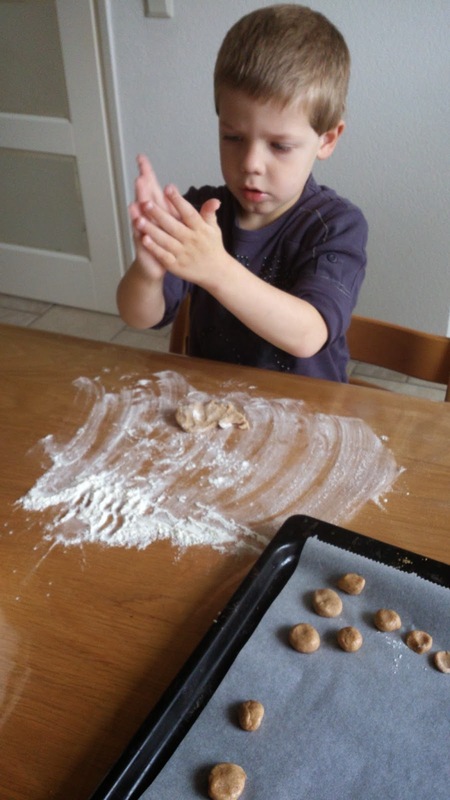 I love baking them with the kids.. 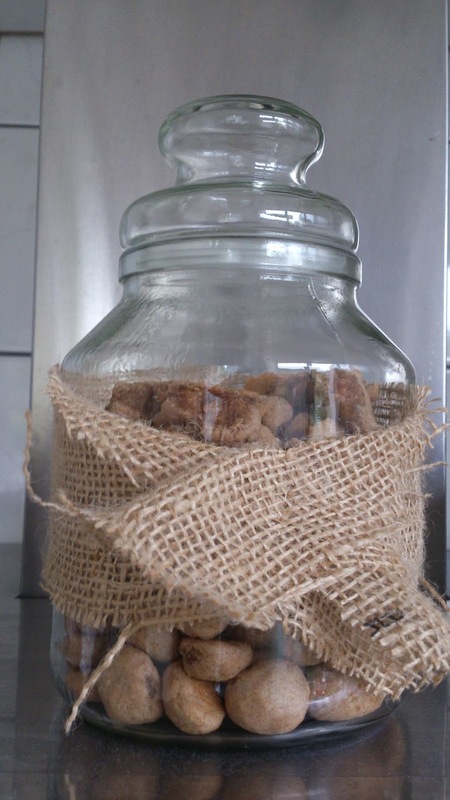 But Now it's a real Sinterklaas jar. That afternoon also baked banana bread, but forgot to take a pic. You all now that I;m working on a blanket for Kira her bed.. But her little doll, is getting a bit cold with this Fall weather. She already has the same dress as Kira, why not the same blanket. 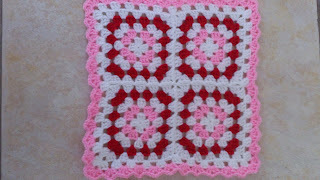 Kira is happy again... now I can get futher on her blanket.. need to make many squares till that one is finished!! Veel succes met je sinterklaas-hart! Popje is helemaal gelukkig met haar dekentje. Hihihi, kleine Kira en Kira blij met het dekentje. Staat leuk. Nu de grote nog, maar dat gaat vast goedkomen... Zeker nu je meer moet afwisselen. 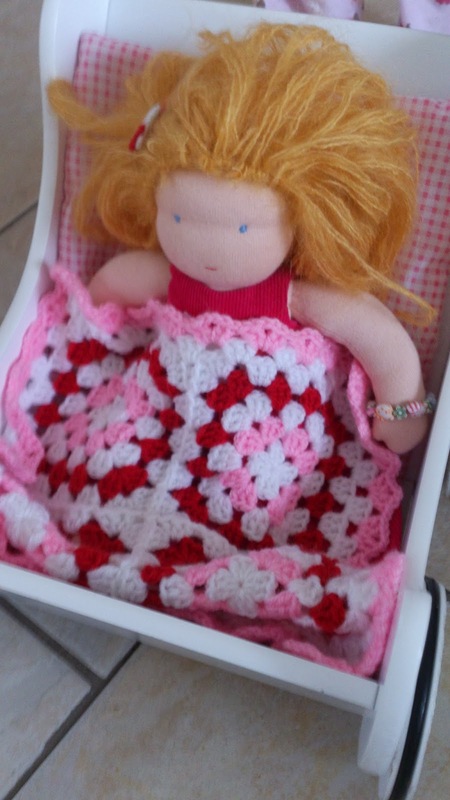 Aww sweet heart and very cute blanket..
Crea Bea wat ziet het Sinttafreeltje er schattig uit. 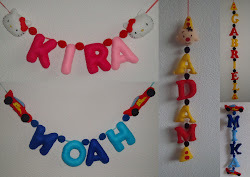 Het dekentje voor Kira haar pop is heel mooi geworden. 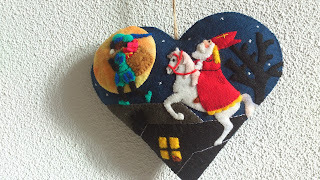 That heart is lovely =) very pretty the motif of Sinterklaas on in! hahahah Kira is the best cooker over there! 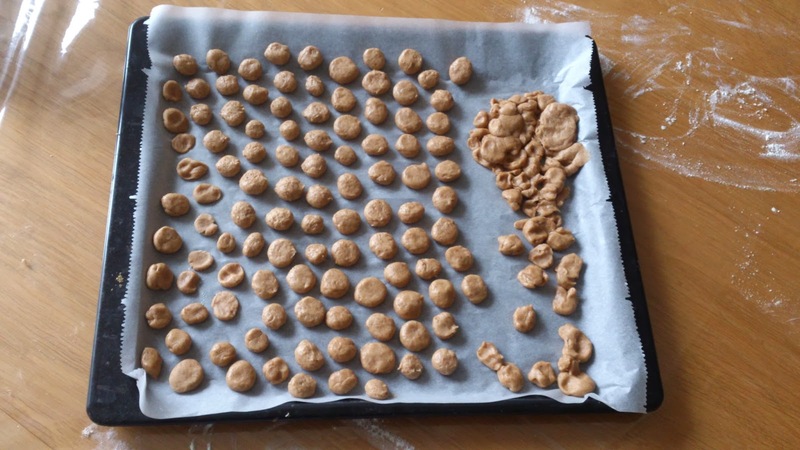 LOL She can make her cookies, who says they have to be round? ;) LOL!!!! That felt heart is so cool! I'm getting more and more enchanted by these felt projects of yours. Love all the fun goings on at your house. That blanket for Kira's doll is just the cutest. What a nice Mommy you are! 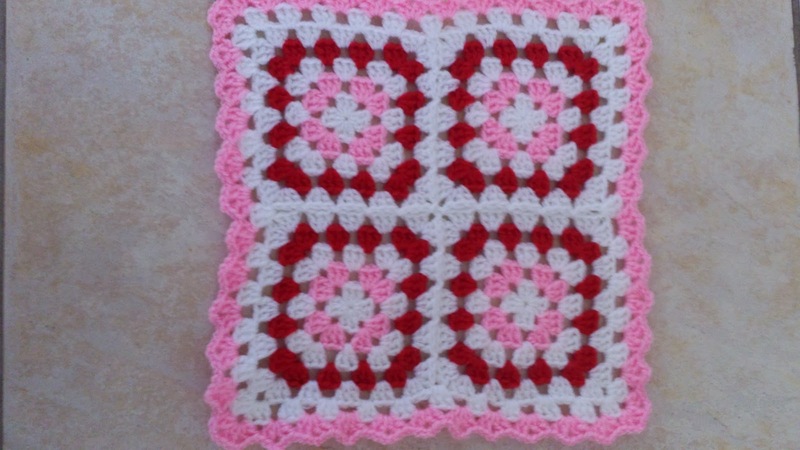 Cute baby blanket!! :) there are so many such girlie things a mom can enjoy with daughters, isn't it ? Lovely post Annette and you've put me in a lovely Christmassy mood! 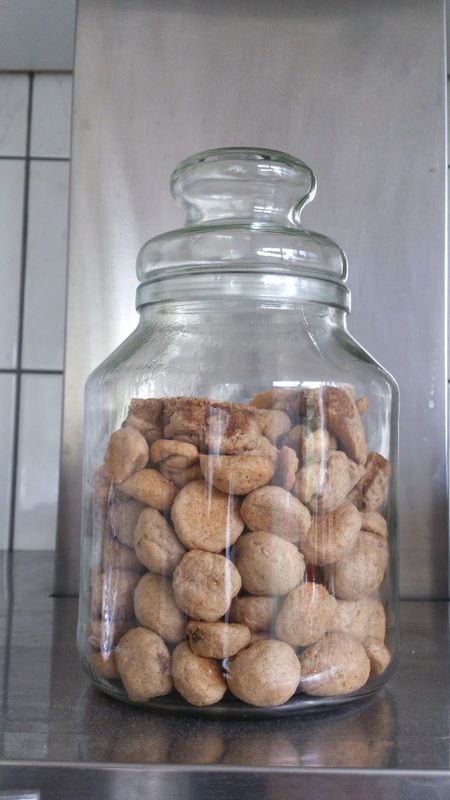 I love to hear about the festive traditions out in The Netherlands and all about Sinterclaas. Beautiful stitched heart and wonderful cooking with the children, so sweet. I wish my DD was a little girl again and I could make blankets for her favourite dolls ~ make up and designer clothes are not quite the same!!! You make such wonderful pieces !! What a creativity at your place, Annette! 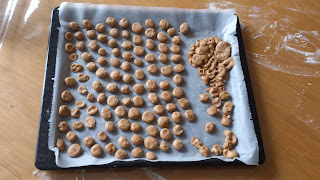 Kids so seriously making balls/pepernoten and sounds delicious without the sugar. Great idea with the jar too! and a lovely blanket made for the doll...you are on a roll!! 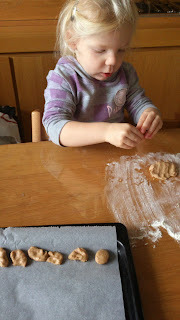 Such a sweet mom to make Kira's doll her own little blanket :) And I love the photos of the kids making cookies--brings back wonderful memories of when I used to bake with my sons. What a stunning heart, Annette--your felt creations are amazing!